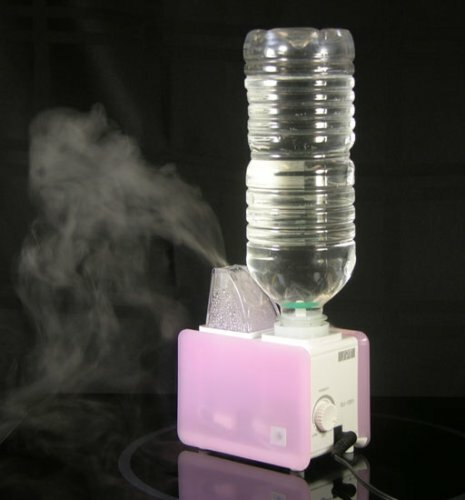 Compact and lightweight, this personal humidifier offers portability that is perfect for travel and home use. Small enough to easily fit in your luggage or carry on. Two different sized bottle adapters and a 100~240V AC adapter allows universal usage. All you need to obtain at destination is a bottle of water. Also ideal for use at work, in nursery or for anyone who desires its convenience and portability. Ultrasonic technology offers cool mist and quiet operation.